Generosity is the very heart of the Buddhist path. The Buddha’s teachings on Dana (Generosity) are some of the most exquisite and important he gave. The Buddha did not instruct us to give to others as if it’s a noble idea, something we “should” do. He taught that generosity creates a happy heart and a serene mind, and is the first step in a path toward joy and compassion. Acts of Generosity create an open, giving heart which not only bring us happiness and a stronger sense of community, but also establish an optimal environment for our meditation practice. The Buddha taught that generosity and integrity support the inner practice, and as the practice develops insight and compassion, we naturally express it outwardly through generosity. Generosity is the starting point, the means and a fruit of this noble path to awakening. It is central to the Buddhist tradition that the teachings be offered freely. 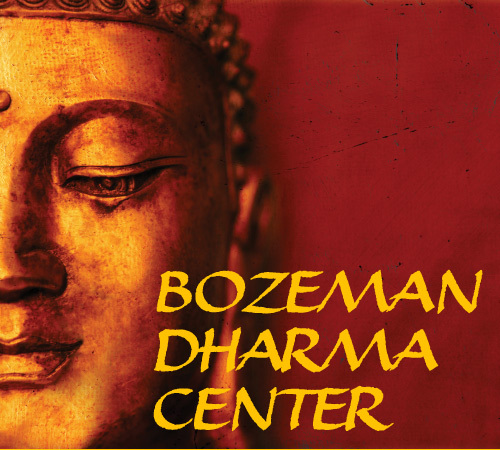 Any costs or registration fees for programs at the Center go to cover teacher expenses, rent and insurance—the basic costs of maintaining the space and bringing teachers to Bozeman. The teachings are offered freely and those participating freely offer a gift of Dana to the teacher to express gratitude and ensure that the teachings may be given again to others.